The walimex pro LED 5 Versalight daylight floodlight offers, with its 54 high-quality photo and videos LEDs, and a maximum output of 32 Watt, a high light output for your projects. The colour temperature of 5,6 Kelvin has daylight character and provides high-quality lighting results. 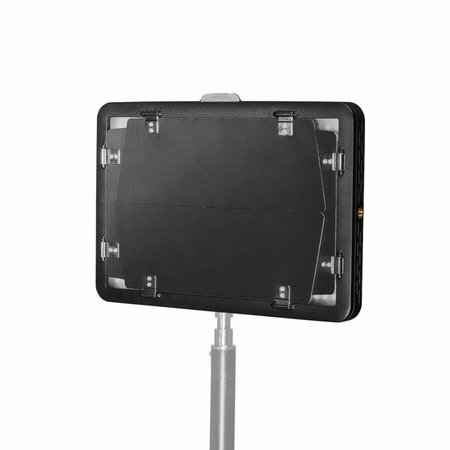 With an enormous light output of 2,9 lux at 1 metre, this floodlight also offers high power reserves. The output can be adjusted continuously from 1% to 1% on the device or via the remote control. 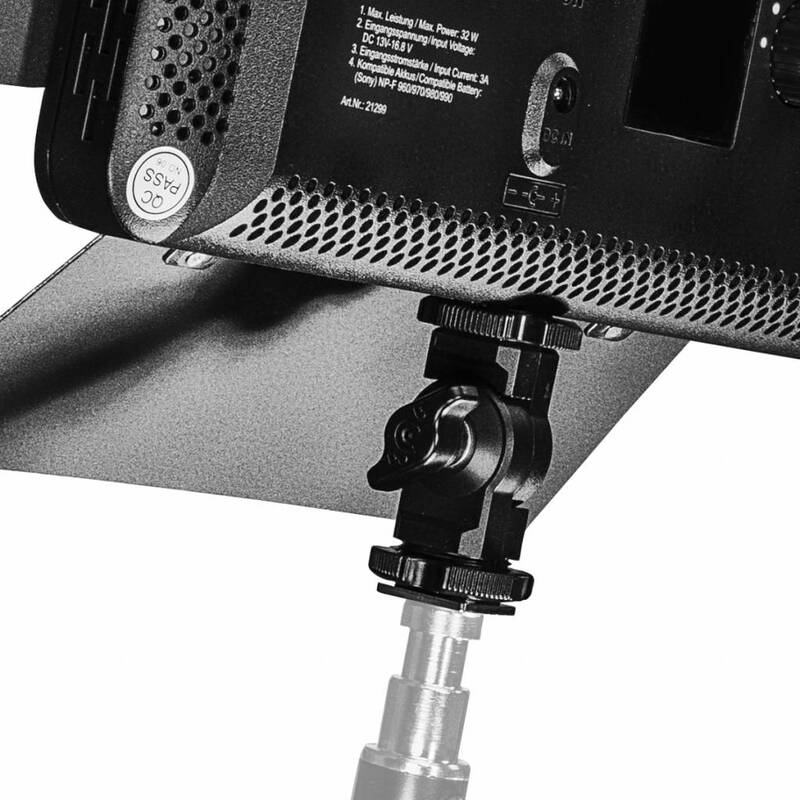 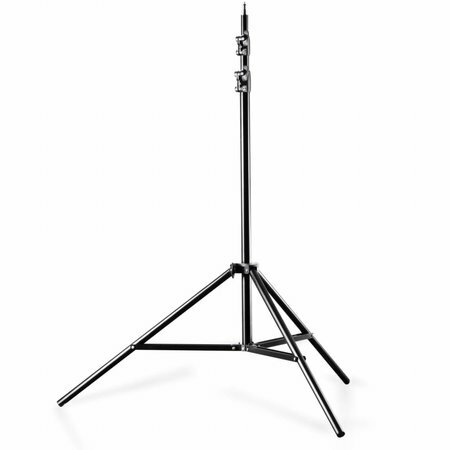 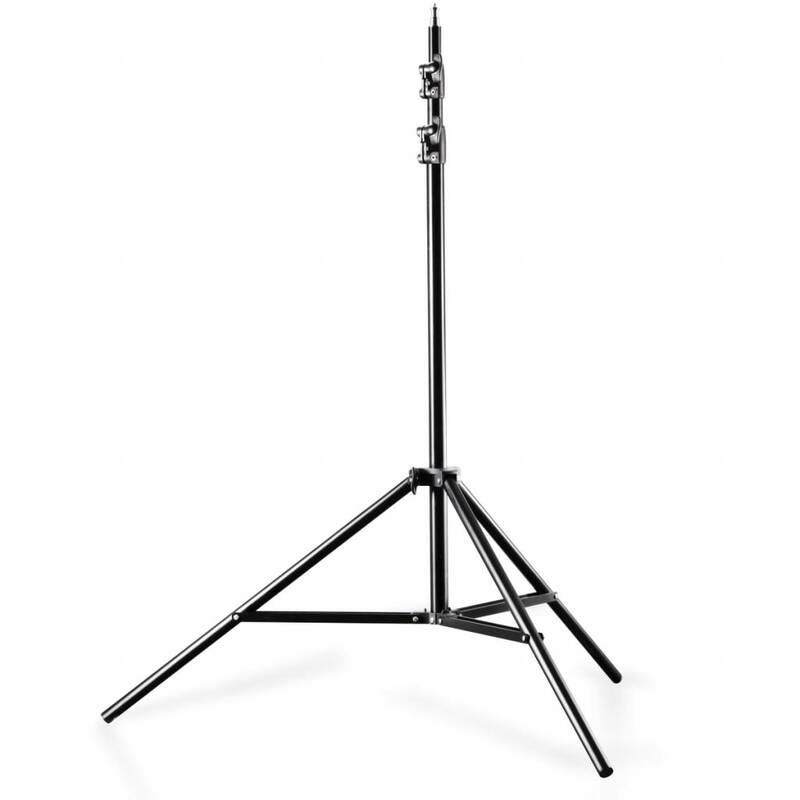 The angle of radiation of 6° is the ideal choice for both for smaller and larger distances from the subject, thereby enabling use in both the studio and when on the move. 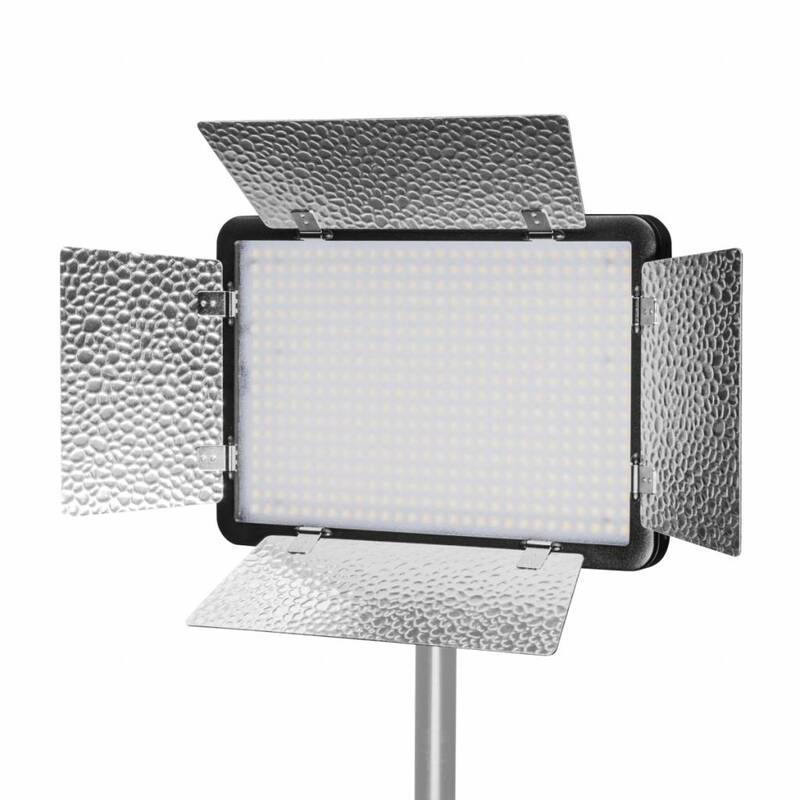 This high-quality LED floodlight has a passively cooled and very well-made, compact and, therefore, light housing. 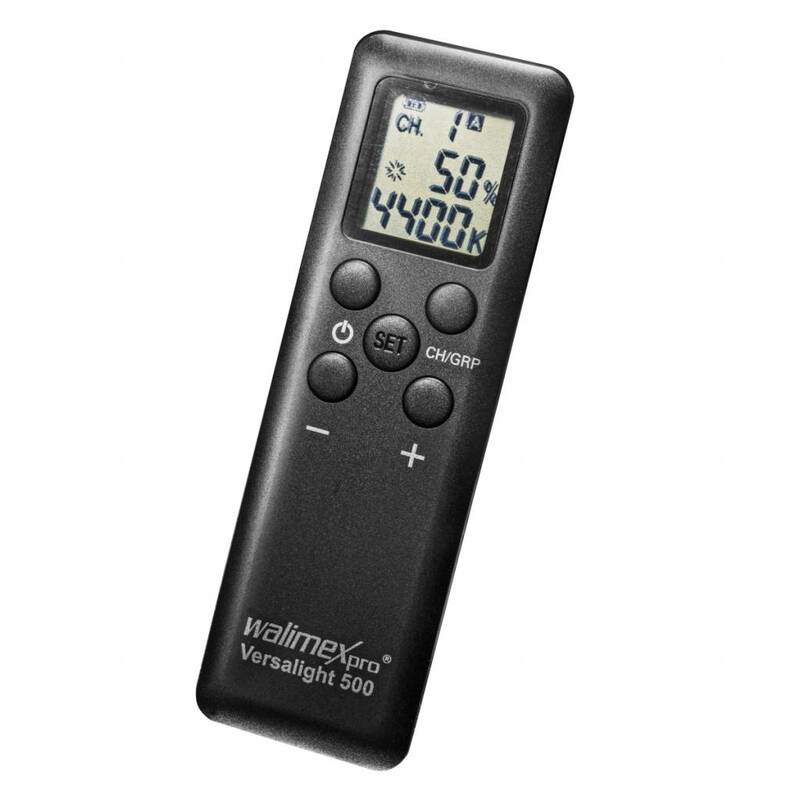 The walimex pro LED 5 Versalight light has a back-lit LCD display that shows the light output, colour temperature and battery status as a percentage. 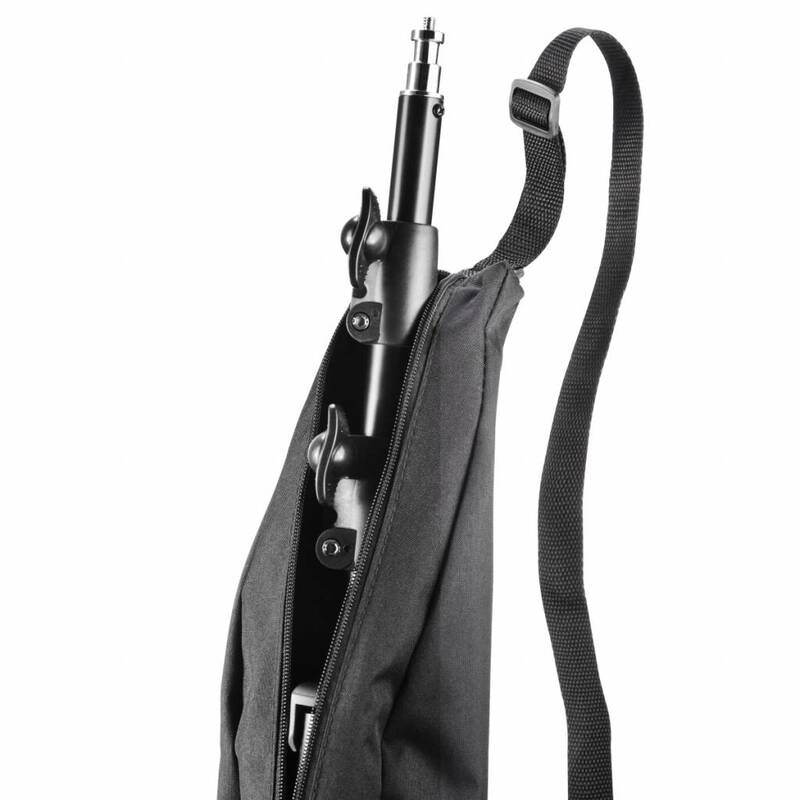 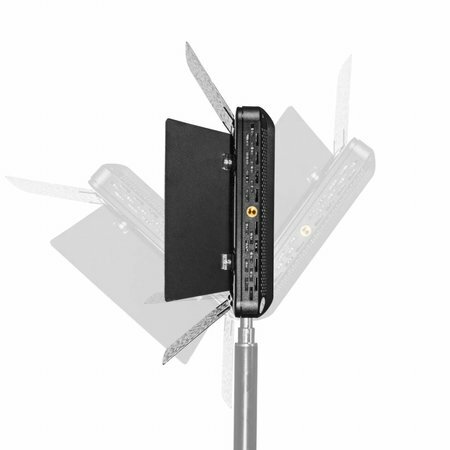 The light flaps fitted as standard enable the light to be positioned precisely. 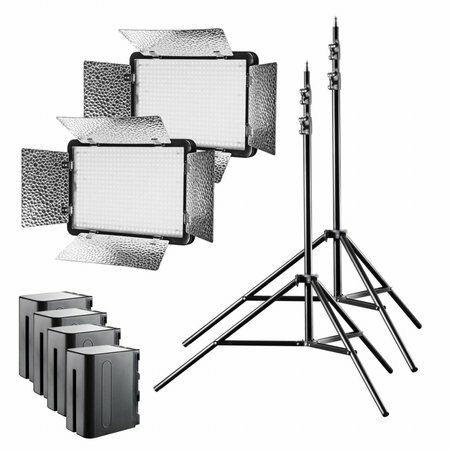 The LEDs used have been specially designed for use in photo and videos shoots. 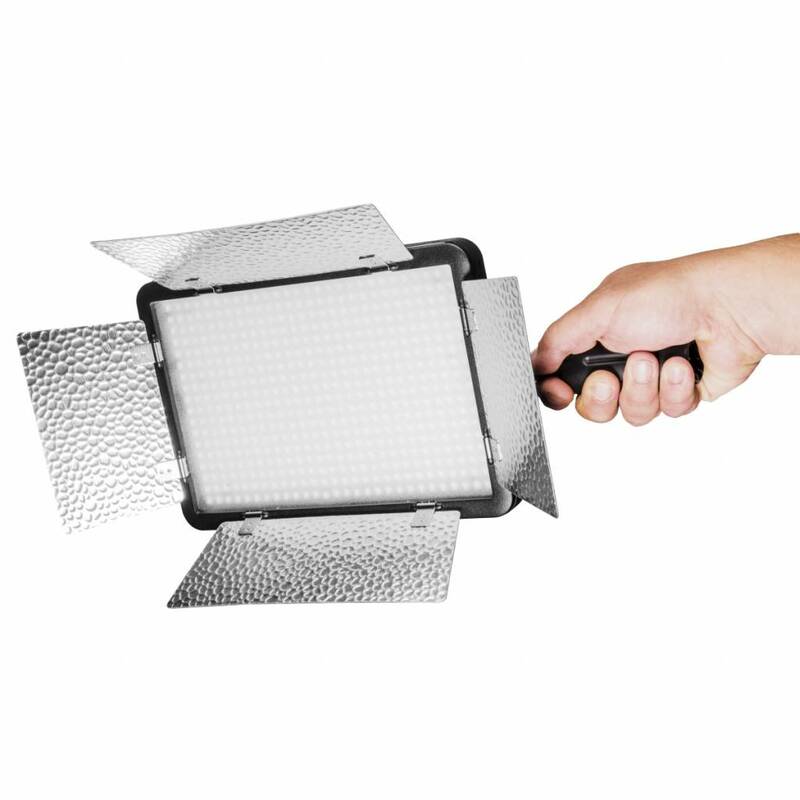 They are flicker-free and offer a colour rendering index (CRI) of 88 to 9 Ra, a very good quality of light. 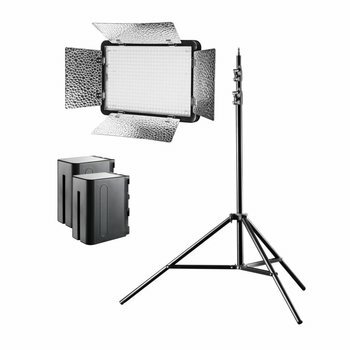 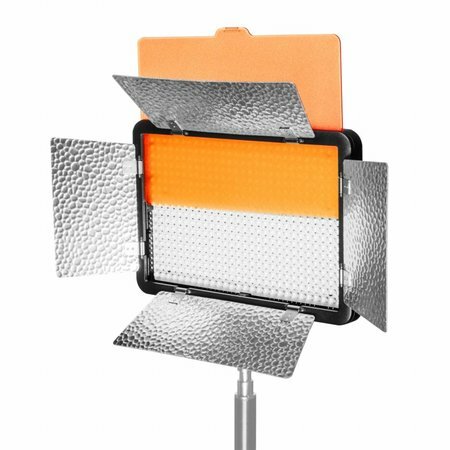 The walimex pro LED 5 Versalight daylight lamp comes with 2 diffuser discs. A white milk-glass disc for daylight operation and an orange warm-tone disc for light at around 3,3 Kelvin. 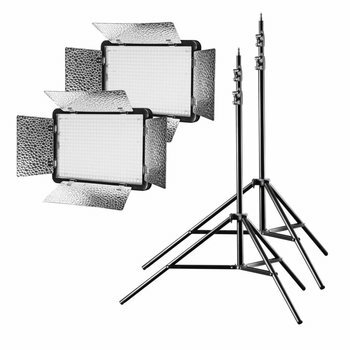 These diffuser discs ensure an especially soft and homogeneous light.